Wouldn’t life be grand if you could jet off every time you felt a Francophilic whim for the wines, cheeses, clothes and culture of France: the fabled land of baguettes and Breton stripes? Holidays are, let’s be honest, exceptionally good, but one pesky detail is that you can’t be on them all the time. With flights to Lyon, Nice and Paris, Emirates has you covered when dreaming of a French getaway (and with SNCF, France’s national railway company, you can now connect to 19 new destinations in France with one easy booking with the airline). Tres bien, non? Whether you want some pre-holiday inspo, or you’ve returned home and need a reminder of all things deliciously French, we’ve got you covered with this list of the Australian bistros, boutiques and boulangeries that are so Frenchy, so chic that you’ll feel like the Eiffel Tower is just around the corner. French mornings begin at the bakery so we start our tour at Chouquette. Honouring the traditional baking methods and secrets behind France’s illustrious bakeries, every loaf and pastry to emerge from Chouquette’s kitchen is crafted with the most delicate care on the most special ingredients. Whether sweet or savoury, the crêpes at French Touch aren’t your typical street vendor fare. With both traditional and modern accompaniments on offer, French Touch is the perfect precursor to crêpe country or a nostalgic pit stop for returners home. Under the direction of head chef, David Menard, Noîsette Bakery supplies the good people of Port Melbourne with the most authentic desserts and crusts this side of the Upper Rhine. Their cakes and pastries draw a loyal crowd of eager-eyed regulars every weekend and are clinically proven to abate Paris withdrawals. Not to get to clichéd, but, oh la la, is this ‘dessert boutique’ worth a visit! (Yes, a dessert boutique is a thing, and if you haven’t visited one yet you’re missing out.) An artisanal pattiserie, coffee bar, chocolate shop, and high tea salon, Melbourne’s Bibelot is basically all your dessert dreams come at once. 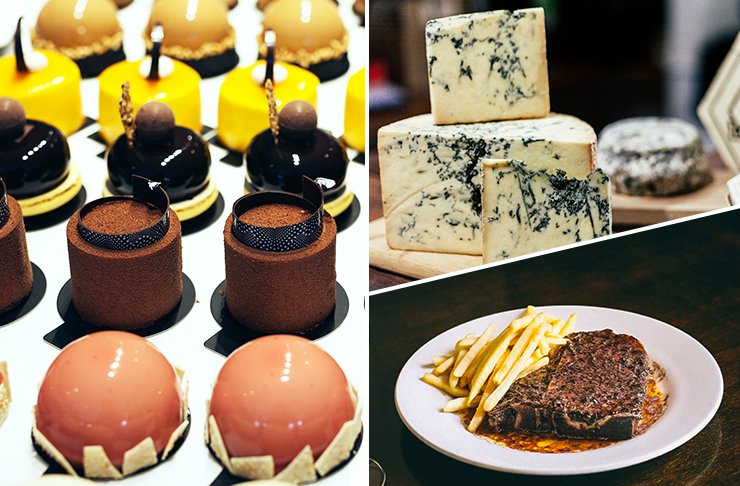 Stocked floor to ceiling with fresh truffles, fois gras, cassoulet, duck confit and tea from Mariage Freres, Black Pearl Epicure is everyone’s favourite international pantry. Their cheese cupboard is evermore special with divine French inclusions perfect to abate the post-holiday blues and delay the impending depression that comes with the realisation that you don’t live in Paris. This shady boy celebrates cheese in all its glorious forms and applications. Nothing goes un-cheesed at Shifty Chevre, and everything from the croque-monsieurs to the tartiflette is built on some such variety of hard, soft and goat’s cheeses. Where better to awaken your tastebuds ahead of a jaunt to the homeland of Camembert? As the Sofitel’s own restaurant, Privé 249 has a reputation to uphold. Here the flavours of haute cuisine are reinvented for multi-course sittings renowned for enthralling diners beyond words. And all the forks are titanium. Darlinghursts’ Onde is a stalwart of European classics. A quick visit will soon calibrate your palate for the Continent and do away with any reservations you may have had about whether duck liver pâte is all it’s cracked up to be (it is). 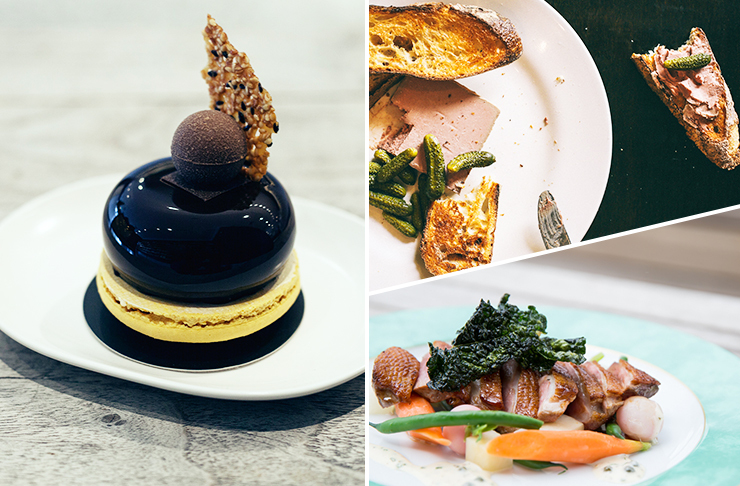 The ultra-classical dining at Madame Sousou evokes France down to the very last detail. You’ll find no outlandish experimentations with gastronomy, nothing untested and nothing radical. What you’ll get are time-honoured classics of French cuisine and a feeling like you were born to wear a cravat. The warmth of Montrachet’s interior coupled with the evocative clink and clatter of gratified patrons is the closest you can come to a classical French bistro without actually going to France. All sartorial longings are satiated by Sydney’s premier shard of Parisian label APC. Known for the minimalism of their designs, APC is the perfect place to thread-up and get to grips with the sizing diversion before you let the Mastercard loose in the Marais. Featuring designers like Robert Clergerie and Lanvin, Christine’s Fashion Boutique knows what’s up. A wander through the cavern of stylish eccentricities is the perfect amuse bouche to get you in the mood for a shopper’s romp through France. The Champagne Room goes far beyond just what their name suggests. Exclusively pouring Perrier-Jöuet, the glittering concept lounge brings the nectarous bottlings of France together with the snap and pizazz of the belle époque, served with a side of oysters.